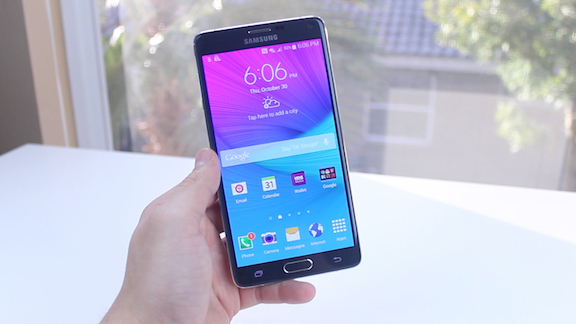 Today we’re going to talk about the Galaxy Note 4 and some usual issues that you encounter while using this device. However, before we begin, we suggest you to update your Galaxy Note 4 to the latest Android OS version that’s available for it by going to Settings->About Phone->Software. In order to make sure that you have the most recent update, tap on the “refresh” button while you are on the location we’ve mentioned above. Usually, when you have issues with the Bluetooth or Wi-Fi connections, you could fix them by disabling and enabling them back. 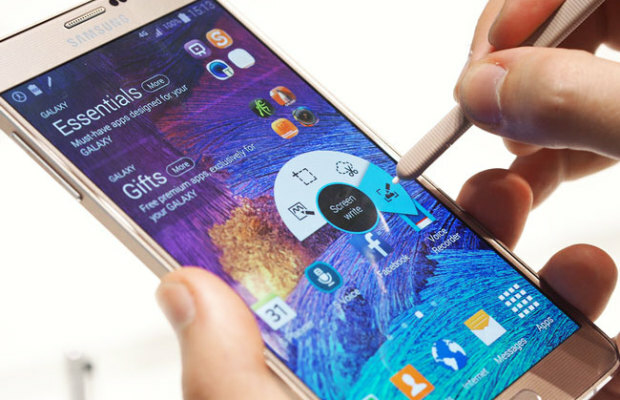 If this doesn’t fix the issue, you can try to reboot the Galaxy Note 4 device. If after disabling/enabling Wi-Fi or rebooting your device the Wi-Fi connection still doesn’t work, you might want to check if the problem is from the router. Try rebooting the router and see if that solves the Wi-Fi connection issue. At the same time, when you have Bluetooth connection problems, there are high chances that the problems are on the other device and not on your Galaxy Note 4. This is the reason why you should also check the other device and see if the issues are solved after disabling and enabling back the Bluetooth feature. When you launch the camera application directly from the lock screen, there are high chances that it will crash. If you’ve noticed this happening on your Galaxy Note 4 while opening the camera application (or any other application), there is a simple solution to fix it. You will need to go to your device’s Settings->Application Manager->All->Camera (or any other application that’s crashing while launching it from the lock screen) and tap on “Clear data”. If this doesn’t fix the problem, you will need to “sacrifice” the application preferences by tapping on the “Clear cache” button also. If you notice that your Galaxy Note 4 is quite slow and lagging, then the “S Voice” feature might be the root of your issues. You can launch the “S Voice” by double-tapping on the home key. When you tap once on the home screen, the Galaxy Note 4 will wait a bit before taking you to the home screen. This happens because the device is waiting to see if you will tap the home button once again to run the “S Voice” feature. Oh well, you can disable it by launching “S Voice” and tapping the “Open Via Home Key” option. If you’ve noticed that your application is running very slow even after updating it to the latest version, then there are high chances that you need to clear the cache in order to fix it. To clear the cache of an application, you will need to go to your Galaxy Note 4’s Settings->Applications->Application Manager and select the application that’s running slow. Here, you will see a “Clear Cache” button somewhere in the middle-right side. By doing this, you will clear all the data from that application which includes settings, username, password, game progress etc. We agree that the lock screen animations are awesome, but at the same time, they delay you several times per day. You can disable this feature by going to My Device->Lock Screen->Lock Effect and select “None” to turn off the animations. If the Galaxy Note 4 is lagging or not responding as fast as it used to, then you should consider clearing the system cache. To do this, you will need to boot the Galaxy Note 4 in recovery and this can be done by shutting down the device and pressing and holding the Power+Volume Up+Home buttons. When the device vibrates, you may release the buttons and wait for the device to boot into Recovery mode. Once you see the recovery screen, use the “Volume” buttons to select “Wipe Cache Partition” and press the “Power” button to confirm it. After that, you will just need to reboot the device by using the “Reboot System Now” option. If you don’t fix the issues on your Galaxy Note 4 after doing all the other stuff we’ve mentioned above, you will want to do a “Factory Reset” of the device. Keep in mind that this will reset your entire device into the factory settings and all the data inside it will be deleted. This is the reason why you should want to back up all your important stuff before doing this and save it somewhere, on your microSD card. Once you’ve backed up all the important stuff, go to your device’s Settings->User and Backup->Backup and Reset and uncheck the “Back Up My Data” option as you’ve already backed up your data. Finally, tap on the “Factory Data Reset”, enter your password or PIN if you’re asked to and tap on the “Continue” button followed by “Delete All”. Wait until the Galaxy Note 4 reboots and see if the issues have been fixed.